The big, 19-inch wheels may look good, but they also significantly decrease ride comfort in the Malibu. 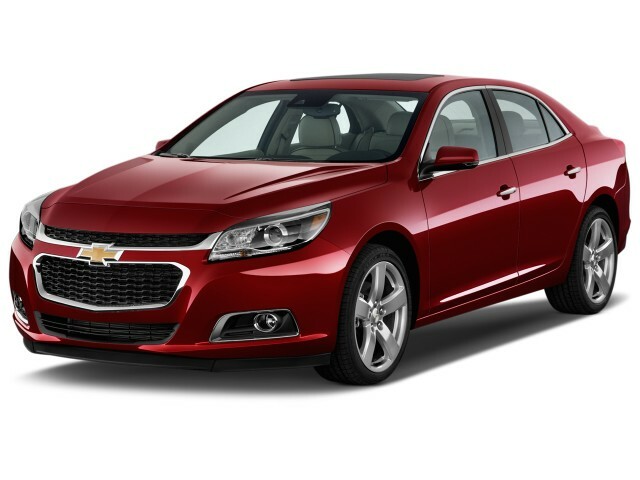 The 2015 Chevrolet Malibu ranks below our family-sedan favorites, mostly because of its back-seat space. The Chevrolet Malibu mid-size sedan was redesigned in 2013, and quickly refreshed just a year later, but still falls shy of the standards for room, performance and fuel economy set by competitors. This year's changes are few including an OnStar system offering 4G LTE connectivity with the ability to create an in-car WiFi network. Engines remain the same as last year. The base 2.5-liter four-cylinder mill produces 196 horsepower and keeps fuel economy in check thanks to a six-speed automatic transmission and stop-start technology. A more powerful turbocharged engine makes 259 horsepower. With nearly top safety scores, the Malibu earns the Top Safety Pick distinction from the Insurance Institute for Highway Safety. 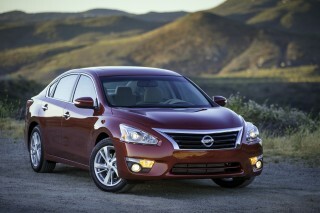 It also gets five stars overall in federal NCAP testing. Blind-spot monitors are a new option; rearview cameras and Bluetooth are still standard on LT and LTZ trims, but unavailable on the base Malibu LS. There's not enough leg room to seat four adults, but the Malibu's front row is comfortable with supportive seats ideally suited for long drives. Three trim levels are available on the Malibu, starting at LS and moving up to the mid-level LT and top-trim LTZ. The turbo engine on LT models comes with additional equipment over the regular LT trim. The overall shape is forgettable, but the Chevy Malibu has an interestingly styled cabin. The Chevrolet Malibu looks bolder now than it has in the past–-thanks to its two-tier grille design–-but it's still a plainer option in a segment filled with stunning competitors. This year brings no changes to the Malibu's exterior styling versus 2014. That's when it received an emergency refresh reshaping much of the front just a year after this newest generation went on sale. The new Malibu wears styling more generic than the Ford Fusion's dramatic sheetmetal, though it's on par with the segment-leading Toyota Camry and certainly not displeasing. 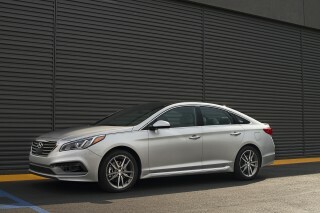 The more cohesive sedan's front end presents a hexagonal grille that's lower and larger, while its decklid and taillights feature rounded corners more in line with Chevrolet's other current models. Inside, the instrument panel features large, square-ringed gauges, while the Malibu's dash uses glossy grey plastic for buttons and to frame a large LCD screen. Major climate and audio controls are manipulated through big, easy-to-use knobs. Without picking the smallest nits, the controls and interior look and feel the part. 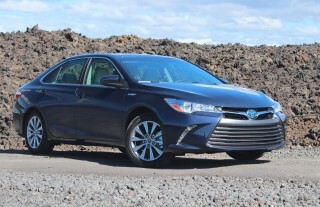 A good compromise between Fusion tough and Camry fluff, the Chevy Malibu has a compliant ride and good steering. Though the Malibu was redesigned only two years ago, the 2015 model drives better than it did in 2013. That's because Chevy made a few necessary changes last year to keep up with some of the better contenders in the mid-size sedan segment. Unlike Malibus of prior generations, this new model makes handling a priority--even more so this year. It feels smaller to drive than its dimensions would make you believe. That's mostly due to a responsive electric power steering system employed with near-perfect execution. Directness and weighting hit the sweet spot for a car in this segment, making for great feedback. 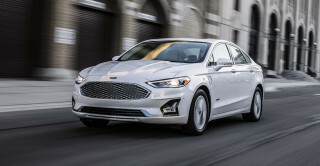 Last year's suspension update improved damping and gave the Malibu a bit more of the fluid ride, placing it between the softly sprung Nissan Altima and sport-tuned Ford Fusion. Body roll is minimized for aggressive cornering, giving the car a more balanced dynamic. A 2.5-liter inline-4 is the base engine after last year saw the Malibu drop it's battery-assisted Eco drivetrail. The current engine produces a healthy 196 horsepower, on par with the Korean Hyundai-Kia pair and good for an 8-second sprint to 60 mph. 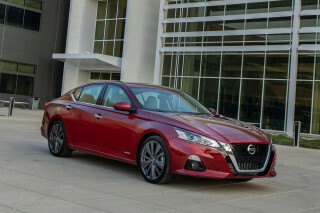 A savvy, smart, and smooth six-speed automatic teams with stop/start and direct injection to return an EPA-estimated 25 mpg in the city and 36 mpg on the highway, comparable to other mid-size sedans and a couple miles shy of Nissan's best-in-class Altima. 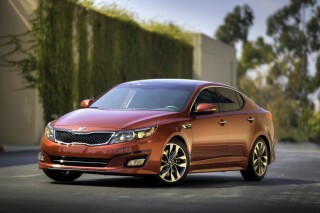 The downside of the 2.5-liter engine is a slight increase in noise emitted by the direct injection system. Likewise, we wish the automatic could be operated via paddle-shift controls instead of the near-useless shifter-mounted rocker button. 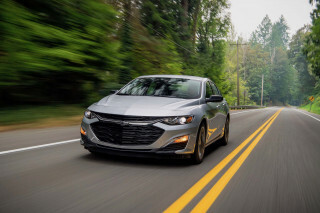 Those seeking more performance can opt for the worthwhile 2.0-liter turbocharged engine with 269 horsepower and 295 pound-feet of torque that'll rocket the Malibu to 60 mph in 6.3 seconds. Still, the turbo engine has a split personality in the best possible way, equally at home returning solid fuel economy on highway jaunts or laying down the power for more enthusiastic escapades thanks in part to its perky six-speed auto. But like the transmission paired with the base engine, this also lacks traditional paddle shifters that would make it oh-so-much sweeter. The back seat has earned the Malibu its worst marks, but the front seats are terrific and storage space is great. After shrinking the Malibu to better separate it from the larger Impala in Chevrolet's lineup, the mid-sizer garnered complaints by reviewers for not having a rear seat roomy enough for adults. So, GM went back to the drawing board last year, reshaping and retrimming the rear seat and thinning the front seatbacks to unlock some rear-seat passenger volume, putting it on par with competitiors in the class. Unfortunately, this exacerbates another issue with the Malibu: its short-and-low seating position. Trimming rear seat foam makes for less support under the legs, putting more stress on knees for adults. 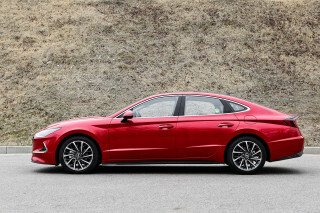 If you're seeking comfier rear digs and don't want to a full-size sedan, the Volkswagen Passat and Honda Accord are more than happy to oblige. Elsewhere in the Malibu, Chevrolet's shrink ray has created smarter solutions to open it space in the now-smaller sedan. The dash-mounted touchscreen flips up to reveal a storage space, though you won't find expected charging or data ports here. (Those ports are in the center console.) Trunk space is improved as well, now able to store 16 cubic feet of your possessions. In front, the Malibu can claim truly great front seats, some of the best GM has ever fitted to a mainstream sedan. Like the Cruze and Sonic, the Malibu's chairs have deep pocketing and lots of room and means for adjustment. Compared to the previous-generation Malibu sold through 2012, it's night and day: this version has low-slung seats that work perfectly with the low-cowl dash. There's ample room for taller drivers, too, thanks to a telescoping wheel with a long travel. Another noteworthy characteristic: the Malibu's active headrests don't jut toward passengers like found on some other, competing models. As automakers strive for ever-better crash test-scores, this quirk has cropped up as part of front-seat design in newer cars. Chevrolet seems to have found a solution here that finds a balance between safety and comfort. The Malibu earns excellent safety scores, though it will no longer be a Top Safety Pick+ in 2015. Every Malibu has a raft of airbags--10 in all, including knee airbags and rear-seat side airbags. Stability and traction control are also standard, as are active headrests and anti-lock brakes with tire-pressure monitors. The Malibu also comes with OnStar hardware and six months of service that includes automatic-crash notifications and remote door unlocking. On the tech front, Bluetooth comes on all versions aside from the base LS, and a rearview camera and rear parking sensors are standard on LT and LTZ models. A safety package adds forward-collision alerts and lane-departure warnings, as well as new blind-spot monitors with cross-traffic alerts. Visibility from the Malibu's driver seat is good, even with its low-slung driving position, but its side rearview mirrors are somewhat small. The Insurance Institute for Highway Safety (IIHS) gave the Malibu the Top Safety Pick+ designation for 2014, which corresponds to top 'good' ratings in all categories, including the new small overlap frontal test. The IIHS also gives the Malibu a 'basic' rating for its available accident avoidance systems; because it's not "advanced" or "superior," the Malibu will only be eligible for a Top Safety Pick award (no "+") in 2015. Meanwhile, the National Highway Traffic Safety Administration (NHTSA) still rates the Malibu at five stars overall, with five-star scores for front-impact and side-impact protection, and a four-star rating for rollover resistance. Simpler is better: the Malibu's smartphone connectivity setup is one of its highlights. New for this year, Chevy adds 4G LTE connectivity to OnStar, which also now allows owners to establish a WiFi network in their vehicles. Standard equipment on all Malibus includes 16-inch wheels, air conditioning, cruise control, power windows, power locks, power mirrors, AM/FM/CD audio with steering-wheel-mounted audio controls, keyless entry, and tilt and telescopic steering. To get Bluetooth, USB input, and satellite radio, you'll have to move up to the mid-level LT, which also includes Chevrolet MyLink and a 7.0-inch touchscreen, and this year adds Siri Eyes Free mode. Options on the LT and LTZ models include a safety package with forward-collision alerts and lane-departure warnings, and this year, blind-spot monitors. Malibu LT sedans can be ordered with leather-trimmed seats and heated front seats. The Malibu LTZ can be ordered with keyless entry and pushbutton start, HID headlamps, memory front seats, and 19-inch wheels. Turbo LT models get 18-inch wheels; a power driver seat; steering-wheel audio controls; and remote start. The Malibu LTZ has the most extensive standard features. It gets 18-inch wheels, fog lamps, LED taillamps, leather seats, heated front seats, power front seats with lumbar adjustments, remote start, and a power sunroof. Stop/start is now standard, and fuel economy on base four-cylinders is good. Though Chevrolet dropped the Malibu Eco, its mid-size effort still offers a duo of powerplants that return acceptable fuel economy. 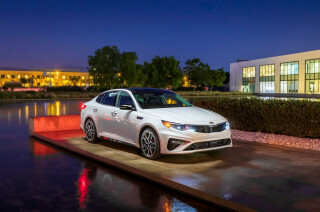 The base engine, a 2.5-liter inline-4, utilizes direct injection and stop/start technology to boost fuel economy numbers, Additionally, low-rolling-resistance tires and aerodynamic grille shutters combine with the engine's wizardry to deliver 25 mpg city, 36 mpg highway, and 29 mpg combined on EPA test cycles. 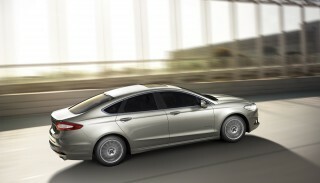 The more powerful 2.0-liter turbo four achieves EPA-estimated ratings of 21 mpg city, 30 mpg highway, and 24 mpg combined. I love my 2015 2 LT Leather Malibu. Handles well, quiet and excellent economy! Our 2015 is not as comfortable as our 2002 was; bump head getting in and out. Too low to the ground on the outside grill work. Less visibility than our 2002. Constantly bump our heads getting in and out of the car. I'm short and cannot get the driver's seat close enough to the pedals to... Too low to the ground on the outside grill work. Less visibility than our 2002. Constantly bump our heads getting in and out of the car. I'm short and cannot get the driver's seat close enough to the pedals to drive safely. Very unhappy with this car! My experience with 2015 Malibu after 20k km's (or 13k miles) has been positive. I think this is a very under-appreciated car, particularly given the hype about 2016 model and current pricing. I actually love... My experience with 2015 Malibu after 20k km's (or 13k miles) has been positive. I think this is a very under-appreciated car, particularly given the hype about 2016 model and current pricing. I actually love the interior. Both my wife and I are 6 feet. So are my in-laws. We have no trouble riding together in a car (I only have to ask my wife to move the seat a bit forward to get more leg room for the rear seat). We wouldn't be able to do so in a 2016 Malibu (or some other midsize sedans from 2016, for example), because there's less head room in the rear seat, and my head hits the ceiling. Seats are very good. We like intercity trips (about 500 miles, or 800 kms, in a single ride), and we haven't really seen anything quite as comfortable in regular brand. I would go as far as to say that 500 BMW I rented for our wedding had worse seating than this car, particularly the rear bench space was abysmal. The trunk and cargo space are truly big. When we moved my wife's stuff from her parents to our place, I was surprised that we needed only one run - I think it was about the same, if not better, than standard Dodge Journey my in-laws used to have. We have no trouble packing camping gear, fishing rods and the like. Plus the well designed trunk lid gives great access even in tight spots. Fuel economy is somewhat mixed. I got about 33-34 MPG's (7 l/100 km) on a very long highway trip from Toronto to Omaha and back - but that was on flat roads. On hilly highways (DVP and QEW) in Toronto, it goes down to 26 mpg's (9 l/100 km); it gets better on flatter ones (401), but, unless you use cruise control, expect it in 26-29 MPG range. Cruise control helps a lot on highways with MPGs, and you'd be surprised by how much. The absolute worst I've got was 20 MPG's (12 l/100 km) - but it was in heavy city driving with a jam. With safety, I actually like the ABS/ESC(StabiliTrak) systems A LOT. I believe they did help my car to avoid trouble at least a few times. However, my experience with StabiliTrak tells me that it needs tire pressure monitors (I didn't buy them for winter wheels initially - and that was a mistake), as I perceived the stability of my car without them as significantly worse. I'd say I had to constantly steer it to keep in straight line, but whether it was perceived or real I'm not so sure. This being said, I had no trouble driving the car through very miserable road conditions in the winter with my Blizzak winter tires on, and I think that it performed extremely well compared to other cars on the same road. As far as features go, even on LS there are a lot of things to like, like trip computer (note that it changed since 2013 model at the very least), dashboard ergonomics, cruise control and cellphone holders (very practical). However, some of the audio system settings, like equalizer or contact book synchronization, are very well hidden. However, there are some big misses, most notably - manual gear changes, and smaller stuff, like the howl of a fan on even medium power. I also noticed two things I don't quite like about the powertrain. Firstly, I'd say that the gearbox downshifts a bit too liberally, particularly when the car is loaded. Secondly, I experienced what I would perceive as a noticeable decrease in power in winter driving at temperatures approaching 0 Fahrenheit (or below -20 Celsius) on regular gasoline, which disappeared once I fueled the car with premium. This being said, I never once found the car inadequately powered for my needs. The steering is very nice, the ride is smooth for long rides and not nauseating like some other cars, and the sound insulation is simply amazing. I have to give extra points to this car for NOT having problems in winter driving where other cars did - I never once had issues like window frosting, or stability issues, with this one, like I had with other cars in the same price range. This automobile is equal to ones worth three times the sale price. Malibu is a great looking car with unbelievable fuel mileage. The interior is expansive, and seats comfortable.